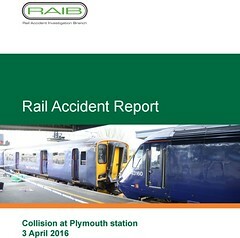 At 15:34 hrs on Sunday 3 April 2016, the 13:39 hrs passenger train service from Penzance to Exeter collided with an empty train which was already waiting in platform 6 at Plymouth station. The collision occurred at a speed of about 15 mph (24 km/h) and resulted in injuries to 48 people and damage to both trains. The signaller intended that both trains should share the platform because the empty train was to form a service to London and some passengers from the Penzance service were expected to join it. Lift refurbishment work meant that without platform sharing, passengers would have needed to use the stairs and a subway when changing trains. Permissive signalling arrangements were in place at Plymouth to permit two trains to share the same platform. The signaller misjudged the amount of space available behind the London train and wrongly believed there was room for the Penzance train. He was aware that the platform sharing arrangement required an unusual form of permissive working, but did not communicate this to the Penzance train driver, and the rules did not require him to do so. The Penzance train driver incorrectly believed he would not be sharing a platform with the London train. There was insufficient distance to stop his train by the time he realised his mistake and had applied the emergency brake. Great Western Railway, the operator of both trains, and Network Rail the owner of the infrastructure, had not identified the risk of a collision due to the combination of an unusual form of permissive working, the track alignment on the approach to Plymouth station, and an inexperienced driver. The RAIB has made three recommendations. 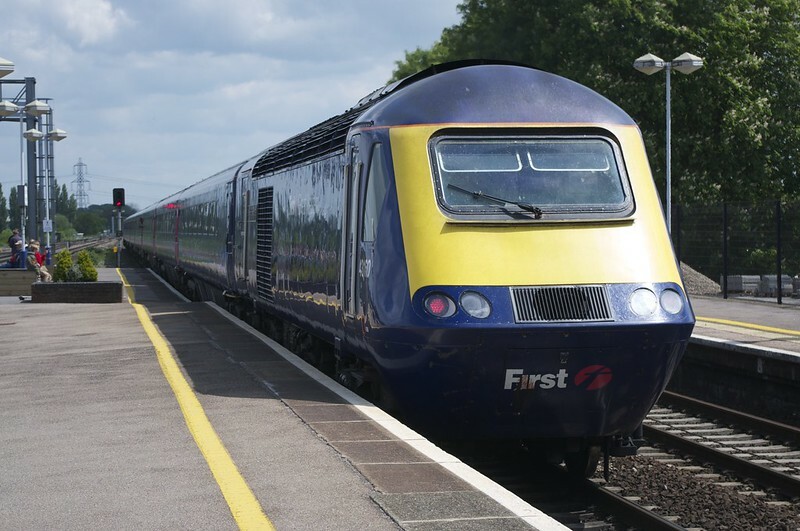 The first, addressed to Great Western Railway and possibly also relevant to other train operators, seeks improvements to the training and assessment of new drivers. The second, also addressed to Great Western Railway and possibly relevant to other train operators, arises from difficulties encountered during passenger evacuation and seeks improvements to emergency door release controls. The third recommendation, addressed to Network Rail and to be undertaken with the assistance of appropriate train operating companies, seeks a review of permissive working arrangements at stations. Two learning points stress the care needed by drivers when undertaking permissive moves, and the value of preventing passengers boarding or alighting from trains when permissive movements are taking place in the same platform. I have republished this one as I seem to have messed things up a bit this morning! Devon Transit post should have gone live Tuesday morning but I clearly got the date wrong! I have therefore updated the GWR accident post to the 4th April as otherwise many of you will have missed it completely! The repaired part of 150219 arrived back from Kilmarnock last Friday! Torbay Buses are operating route 25 between Morrisons, Paignton and Youngs Park. Haven't seen this publicised anywhere. It was a very last-minute decision - first I knew was when I saw one of the former Local Link solos pulling out of Paignton Bus Station on Monday 3rd April! 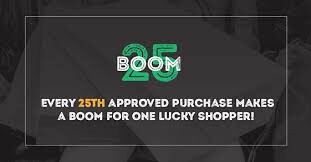 Presumably some of the subsidy Torbay Council paid for the 25 has been reallocated. There are six journeys each way, Monday-Saturday: from Morrison's at 09.15, 10.15, 11.15, 12.15, 14.00 and 16.30; and from Young's Park at 09.44, 10.44, 11.44, 12.44, 14.29 and 16.59. This is the problem with Plymouth station. If a lift breaks down (as they often do), you effectively loose 2 platforms. Otherwise it makes things near-impossible for wheelchair users, people with push chairs / bikes / heavy luggage and the all-important catering trolley. Hopefully if the station redevelopment is ever done, they will do like Reading and install more lifts and ramped footbridges to keep platforms open. Especially with the plan to increase the frequency of Penzance - Bristol services with cascaded 158s, so you need all the through platforms fully operational. Good that there were no fatalities in the accident and I feel bad for the staff directly involved because they do such a fantastic job in keeping trains running and on the right tracks, sometimes in the most difficult of circumstances. When it happened, the herald were quick to point fingers and report it as another Hatfield / Ladbook disaster -- the beeb weren't too far behind in their normal quality of cheap Sunday reporting!! Once again, PT kept things in perspective and offered sensible discussion. Just to pick up on the point about the station staff in Plymouth. I am in a wheelchair and I have always found them very helpful - and, more than that, they still seem to be real railwaymen (and occasionally women) at heart. Despite their no longer being employed by a publicly-owned organisation, there still seems to be a rather old-fashioned pride in providing a public service. Maybe its just because it's Plymouth.